This entry was posted on July 7, 2011 by Lesa Mollinga. 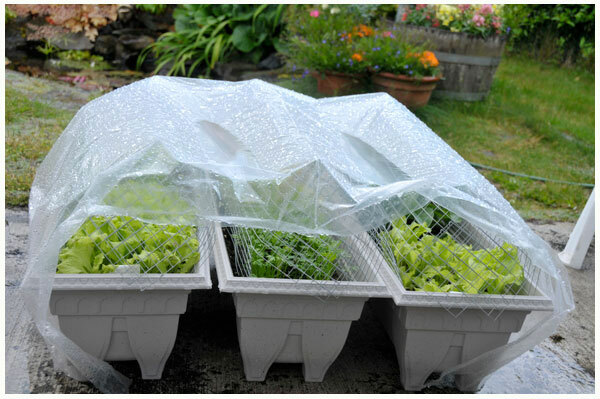 It was filed under Food, In the Garden and was tagged with Lesa Mollinga Photography, patio garden, vegetables. Summer Salads from your own back yard are the best! Enjoy! We are!! I’m going to plant more radishes this weekend. Hey – you could have your own patio garden… on your balcony. It’s perfect! 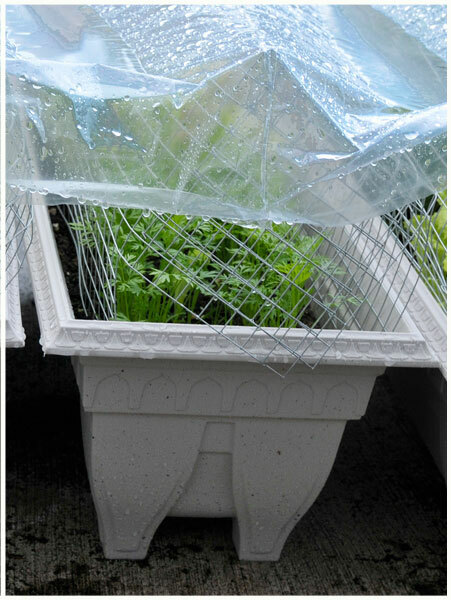 I am planning to grow some lettuce, radishes and carrots as well! Yummy! Right on Jan!!! 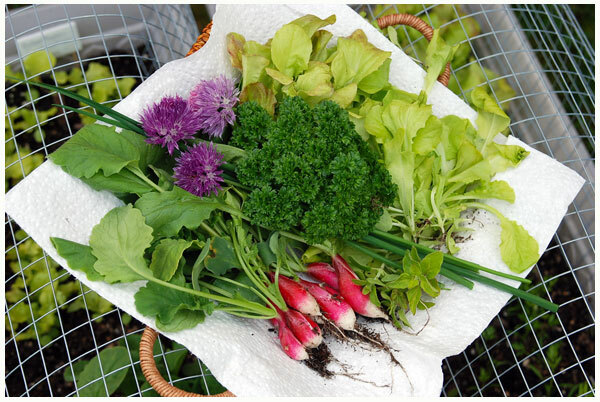 It’s great to have fresh veggies from your own garden, and it’s so easy too! I did see a cute herb planter at a nursery near my place…do you think it’s too late now??? No, it’s not too late. Depending on what they are, most herbs are perennial. In winter, if you move the planter by your front door, tucked in close to the house they will survive a cold winter . I have oregano and chives in one pot on the patio and I just move the pot next to the house and they always come back! As for other veggies, radishes grown quickly; I planted more today as a matter of fact! 🙂 I really like the French breakfast radishes… they take about 20 – 25 days from seed to harvest. What I like about growing them in the planter boxes is there are no bugs, slugs or worms… and it’s organic! I’m using seasoil mixed with peatmoss and some sand to keep the soil loose. You can wait until Mid August if you want to try growing radishes, they are a cool weather crop… or just start with the herbs!! Its nice having fresh herbs for a salad or special sauce or marinade….Let me know what you decide to do! I never did get around to getting the little herb garden…Your garden must really be flourishing by now!